Currently Vice President, Product Solution and Pre-Sales Engineering, Latin America & Caribbean Region at Motorola Solutions. 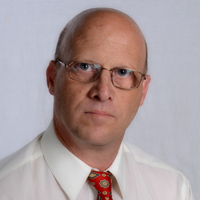 Yoram is a business executive with 30 years of experience in system integration, implementation, operations and sales, both domestically and internationally. He is responsible for all Motorola Solution product portfolio, WNS, Systems, Mobile Computing, Advanced Data Capture devices, Commercial and Professional two way radios, TETRA, ASTRO P25, LTE for public safety, and other public safety solutions. 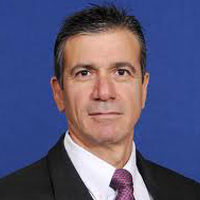 Yoram holds an Electronic Associate Engineering degree from Tel-Aviv University, a Bachelor of Science degree in Electronic Engineering from Tel-Aviv University, an Executive MBA – International Business (with Honors) from the University of Miami and a PhD in Global Leadership from Lynn University. Yoram also published an article in the Journal of Multidisciplinary Research’s Fall 2010 edition: "Impact of Offshore Outsourcing on Competitive Advantage of U.S. Multinational Corporations" - Specialties: Scholar article. Ofer is currently CFO at Reshet TV, Channel 2. 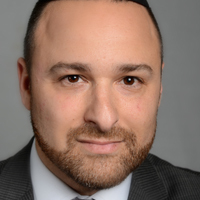 In addition, he sits on the board of directors of Isras Investment Company LTD (TASE: ISRS) and The Israeli News Company LTD. Ofer has extensive experience in corporate finance and IPOs. Hillel is currently Senior Evangelist at Inneractive where he writes daily posts covering new developments in the mobile industry. Hillel specializes in traditional marketing as well as online promotion of the brand. Hillel is a well-known blogger on topics of mobile technology and the social Web.